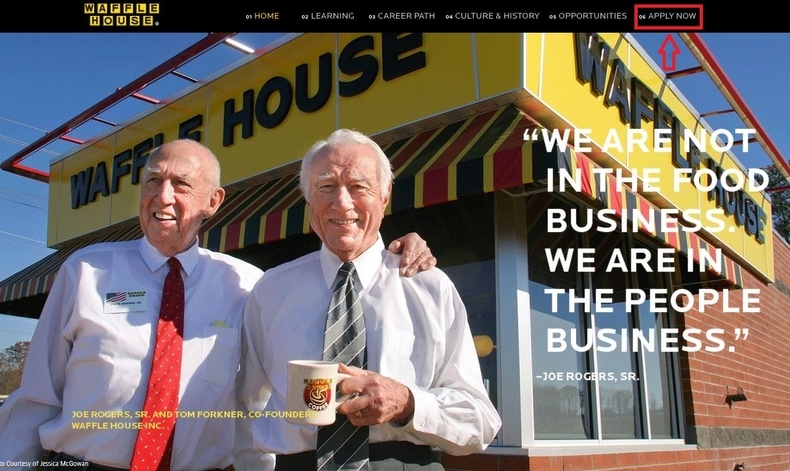 Visit wafflehouse.com/careers and land on to Waffle House careers page. You may know more about the brand and its careers, such as its culture & history, career path and opportunities like ownership and benefits. 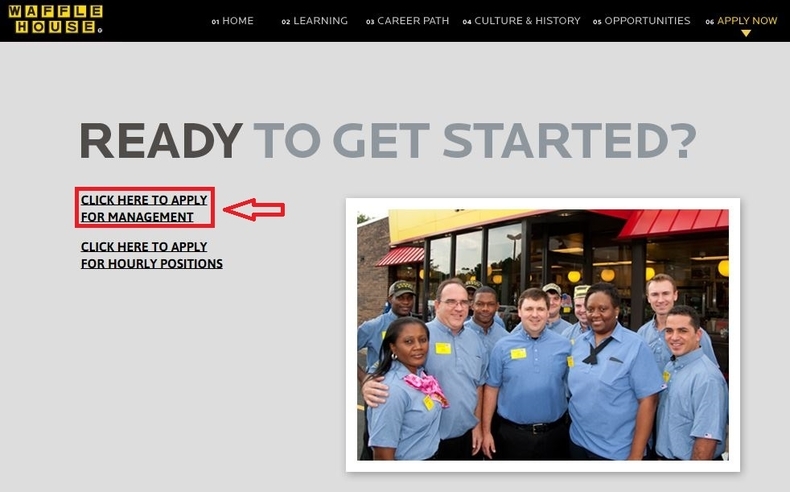 Or you can directly click the button "APPLY NOW" to start your job search at Waffle House. Think about which job area or type are you going to apply for and then click the corresponding link to get started. To find job opportunities at Waffle House, you need to login first. Enter your login name and password to sign in. 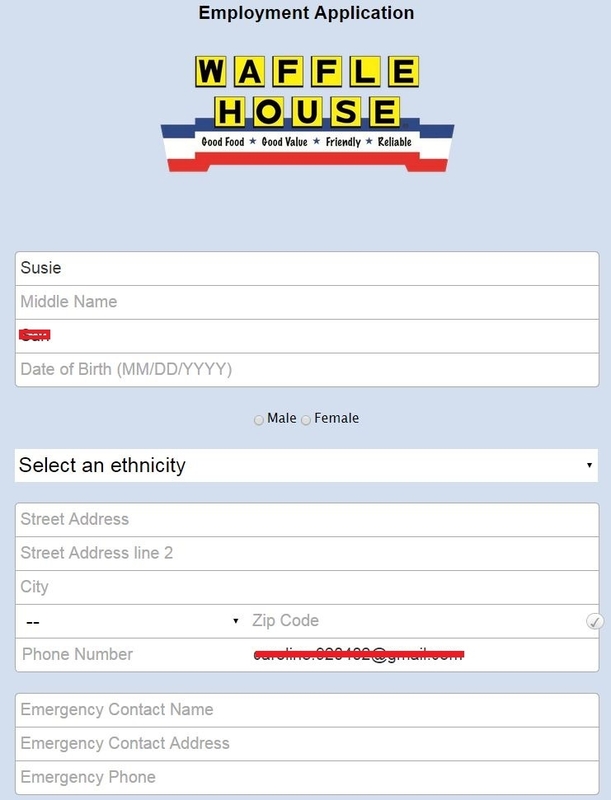 If you are a new user, just click the link to create a Waffle House account. After you login to the career site, it's time to find a position you are interested in. First of all, you need to select your search criteria by unit number or address, and then click Next to continue. Here we choose the second search unit (by address) and then select the state, city and available position you are going to apply for. 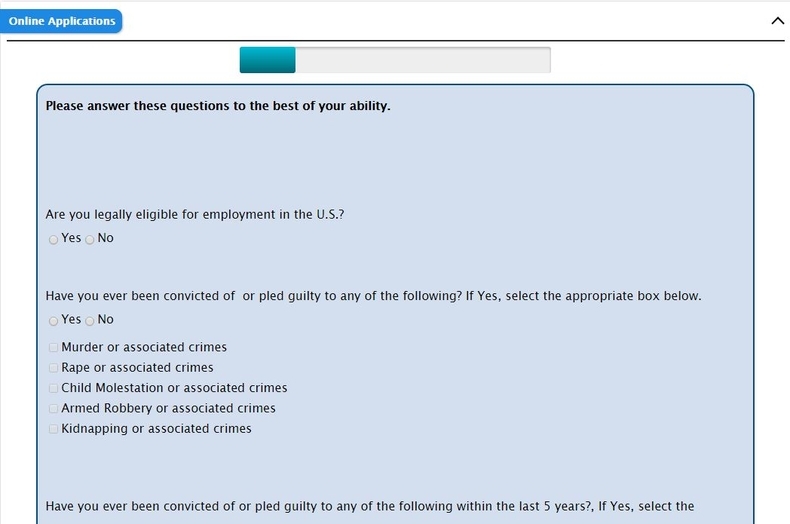 To apply for the position you selected, you need to fill out the employment application form. Provide information regarding your general information, ethnicity and click Next to continue. Follow instructions to answer the given questions to the best of your ability or complete a survey. Finish all the questions in one page, you need to click the button "Next" to continue. Finish the rest steps regarding your education, employment history, experience and skills, personal references etc. Complete each step, you just need to click the button "Next" to continue. At the end of the application process, you need to complete the Work Opportunity Tax Credit survey. Finish the WOTC survey, you will be led to a page where you can see the "Congratulations" notifications meaning that the survey was completed. You can click the link to review your application or click the button to submit your application. Your online application will be finished if you see the notification which indicates your application has been submitted successfully. Click wafflehouse.com/careers to apply for Waffle House jobs online.